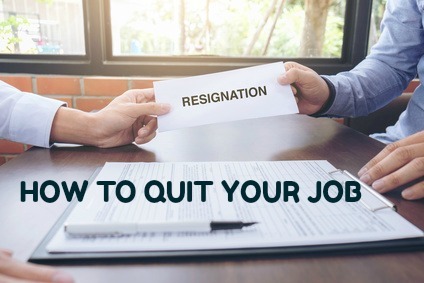 It is usually better to resign in person and hand over a formal letter of resignation. However if the situation demands that you resign via email you can easily adapt this basic email resignation letter for your own use. 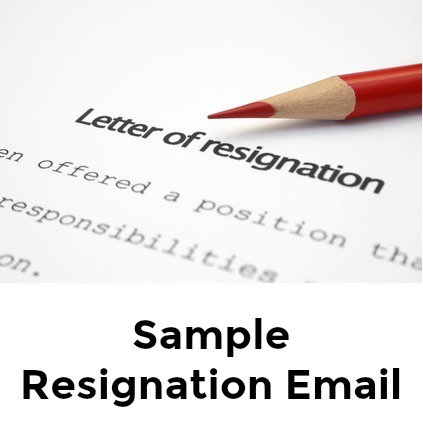 Once you have resigned, use the sample farewell email to inform your colleagues of your resignation. Find out the steps to take before you leave the company and exit on the right note. This email is to notify you that I am resigning my position as Sales Coordinator with XYZ Corporation effective Friday, March 15, 2019. My last day of employment will be Friday, March 29, 2019. This includes the required two weeks notice period. I have enjoyed working here very much and I want to thank you and the whole sales team for all the support and encouragement you have always given me. In order to achieve my long term career goals I have accepted a higher level sales position with another company. Please know that I am available to help in any way that will make my departure as easy as possible for the company. Again, it has been a pleasure working as a part of your department and I want to wish everyone at XYZ the best of luck for the future. I would like to let you know that I am leaving my job at XYZ Corporation. Tomorrow is my last day at work. I have enjoyed my time here and it has been a pleasure to work with you. Thank you for your support during my time at XYZ. Thank you again for the opportunity to work with you all. Is it OK to send a resignation letter by email? It is usually preferable to resign in person and follow up with a well written and formal resignation letter. However under certain circumstance you may have to use email to resign. These include a situation where you have to inform your employer quickly and email is the best way to do this or it is accepted company policy to resign via email. Your employer might ask you to follow up your personal verbal resignation with an email. As long as your resignation email is both professional and polite and includes all the necessary information, and circumstances demand it, it is acceptable to resign by email. Manage your resignation properly and leave the company on the right terms.